While Apple has been slow to adopt virtual reality in its gadgets (the company has virtually nothing on that front so far), there’s a chance that the company might at least jump on the augmented reality bandwagon. Business Insider, quoting a person familiar with the matter, says Apple plans to build AR features into the iPhone’s camera app. To achieve this, Apple is reportedly working with several AR startups, as well as teams from AR/VR companies Metaio and Flyby Media which it had acquired in 2015 and 2016, respectively. In terms of features, this could mean pointing your phone’s camera to an object in the real world and have it recognized — a feature that sounds similar to the one offered by AR startup Blippar. Another possible feature would be face recognition and manipulation; similar features can be seen today on Snapchat and Facebook-acquired Masquerade. Once the features are built into the iPhone’s camera, Apple plans to release an SDK so that third party developers can tap into the technology and create AR apps of their own. No timeline for any of these features is mentioned in the report. Every once in a while, a revolutionary product comes along that changes everything.” Those words were spoken by Steve Jobs when he unveiled the iPhone in 2007. While it was the iPhone that jumpstarted the smartphone industry, it was the introduction of the first third-party apps a year later that really unlocked the potential of this new class of device. When we set out to pick the 100 best iPhone apps of all time, our intention wasn’t to simply do a list of the most useful or entertaining apps currently available. Just as a great teacher in your youth may have helped shape who you are today, groundbreaking apps of the past have had tremendous impact on the iPhone experience, even if their influence may have since waned or faded entirely. Ranking them was even more of a challenge. After whittling the list down to 100, we rated each app on its design, usefulness and cultural impact. We also took into account App Store data provided by analytics firm App Annie. Here’s a full breakdown of our methodology. Though many names on this list are familiar, there are some surprises, too. These are the viral hits, the games we couldn’t put down, the utilities that helped us master our workday, the apps that burned brightly and then faded away, the ones that first made the iPhone feel like magic — and those that still do. 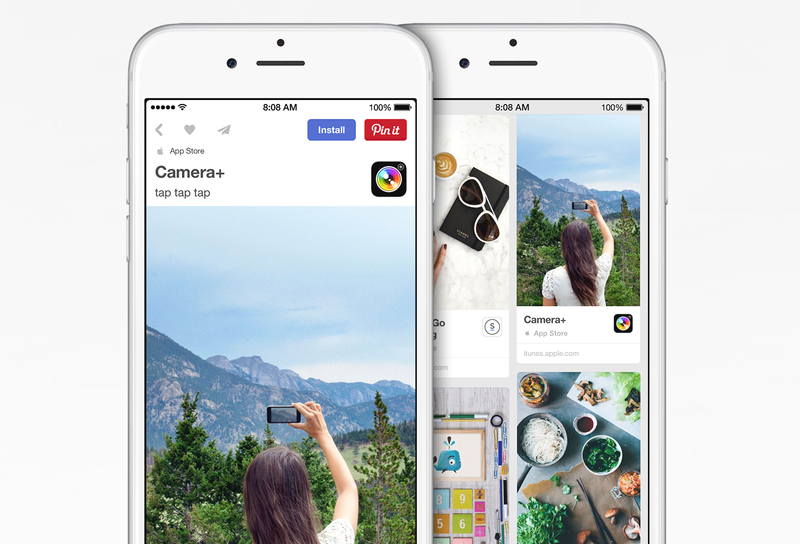 In their never-ending push to make pins more, and more useful, Pinterest has launched the ability to buy apps for your iPad and iPhone directly from pins. It’s curated (of course), and if you’re using Pinterest on your device, you’ll have the ability to “install” directly from there. No more middle man…Or middle app… required. As if we weren’t aware that we’re all obsessed with our phones here’s the data to back it up. Read full article here.